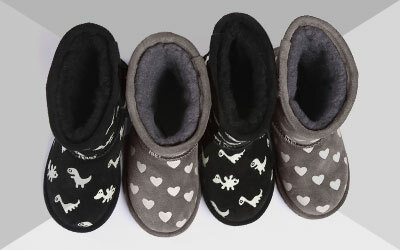 Made in Australia, the EMU Australia Platinum Esperence is a comfortable, slide on men’s sheepskin slipper. Handcrafted from the finest Australian double face sheepskin, they are built on a cushioning and durable outsole that can be worn inside and out. The men’s Platinum Esperence slipper is designed to give you a super comfy experience. Made in Australia with 100% Australian sheepskin for a cosy and comfortable fit, these slippers are built on a durable, dual density, indoor/outdoor outsole providing comfort and support.